Hello, my name is Robyn. I will be assisting you upon your visit to Cape Endodontics! I was born and raised in Norway, Maine. I attended Westbrook College's Dental Hygiene program, graduating in 1984. I practiced in general dental offices for 17 years. I am also licensed to administer/deliver local anesthesia(novacaine). 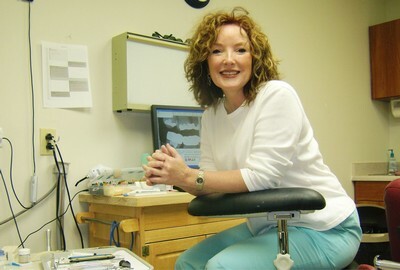 In 2001, I was given a wonderful opportunity to become the office manager for Central Maine Endodontics, and did so until August 2009, when I moved to Cape Girardeau with Dr. Rhoades to start Cape's first endodontic practice! I will be performing the in-office testing and x-rays during your consultation. I then relay all of this information to Dr. Rhoades prior to his examination as well as assisting him throughout your treatment. I am excited and looking forward to meeting all of you! Welcome to Cape Endodontics! 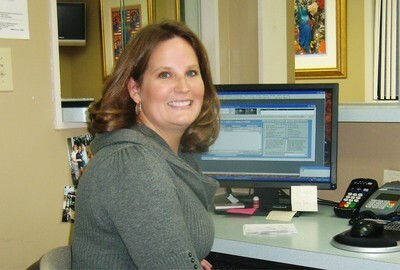 My name is Amber and I will be assisting you with all of your scheduling and financial needs. I have worked in the dental field for the past 11 years and I love helping my patients meet their dental goals. I am a lifelong resident of the Cape Girardeau area, minus the four years I attended Missouri State University in Springfield, receiving a Bachelor of Science degree in Administration. I am a proud wife and mommy of two very active boys and one super sweet little girl. If I'm not in the office, check the soccer fields because I'm probably there! I'm proud and excited about the services we can offer our patients! I look forward to meeting you and helping you in any way I can!